It’s that time of year again! As I have the last two years, I will be celebrating April as National (and Global) Poetry Writing Month, or NaPoWriMo/GloPoWriMo. That means writing a poem a day and so, in my case, a poem and movie review a day. Thanks to the daily prompts from the NaPoWriMo website, I think this month is when I’ve done my best and most creative work in past years, so I’m hoping the same holds true. Unfortunately, this is also the month when my final web design class is wrapping up and big projects are due. I’ll try to balance the two, but school comes first so no hard-and-fast promises on the daily post. I do have some poemless reviews in reserve, so hopefully that will help. Here’s to a great month of poetry ahead! All still live it daily. Sandy Hook and South Sudan. Robin Williams too is gone. All Lives Matter, now what? With this Blindspot series, I find it interesting that I chose Boyhood the same year as last month’s Yi Yi, since they’re rather similar as epics of the mundane, weaving in themes about the nature of life itself with all of its ups and downs and dreams and frailties. Plus, they’re both close to three hours long, so maybe not the best pair for a double feature. Comparing the two, I think Yi Yi has a deeper script, but Boyhood has such an innovative craftsmanship and natural relatability that it edges out its Chinese counterpart in my mind. Originally to be titled 12 Years, Boyhood has the distinction of having been shot over the course of twelve years, from 2002 to 2013, and the actors literally grow older with their characters. Thus, instead of different actors playing the same character at different ages, we get to see young Ellar Coltrane as Mason Evans, Jr., as he grows up from six years old to graduating high school at eighteen. Likewise, his divorced parents (Patricia Arquette and Ethan Hawke) gain over those years the wrinkles and gray hairs that you know are not merely makeup, and his older sister (Lorelei Linklater, the director’s daughter) grows up alongside him. Now, the obvious accusation of anyone who considers Boyhood overrated is that this technique is a mere gimmick that writer/director Richard Linklater cooked up for Oscar-baiting purposes. And I suppose you could very well see it that way. In a lesser film, I’d consider it just a marketing tool as well, yet it really works to add an extra layer of realism to the film. My mom has a picture frame that holds small photos of me from kindergarten to 12th grade, so that you can see how I aged year by year, and that’s exactly what Boyhood is. It’s not broken up into defined segments—like Age 7, Age 10, Age 13, etc.—instead, we notice the differences gradually, not unlike real life, such as the changes in Mason’s hair length and the moment when you realize his voice is suddenly deeper. Being just a few years older than Coltrane, I also was able to directly identify with growing up in the same time period he does, and Linklater includes a wealth of little details that indicate the approximate year. Some of them I loved and experienced myself (watching weekday afternoon anime, singing to High School Musical), while others not so much (the Harry Potter craze, political campaigning). It took foresight and up-to-date planning for Linklater to incorporate some of these elements, considering that they were filmed at the time rather than looking back in retrospect. I loved one conversation Mason has with his dad about whether they’ll ever make another Star Wars movie, since it took place in 2008 and The Force Awakens wasn’t released until the year after Boyhood. While these specifics serve to date Boyhood, they only add to its cinematic significance. 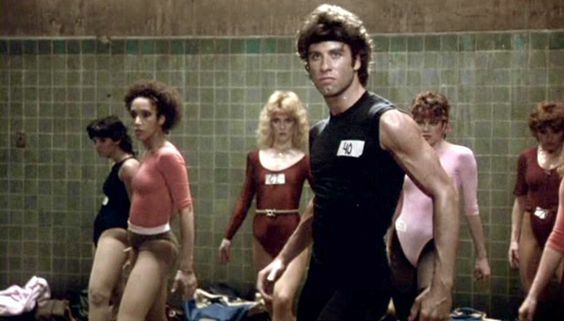 It’s a literal snapshot of a time and place, just like Saturday Night Fever was for the 1970s, and when future generations wonder what it was like to live in the early 2000s, I suspect Boyhood is where they will go. Even the soundtrack is chosen well to reflect the times, ranging from Coldplay’s “Yellow” to Family of the Year’s “Hero,” along with some selections from Mason’s parents’ era too. I’ll admit that not everything was relatable for me personally, despite how closely my and Mason’s ages matched. I’m one of those weird people who never did the whole teenager bit of staying out late and drinking underage and smoking pot and exaggerating to friends about sexual conquests, which I guess is a “normal” phase based on how Mason’s mom reacts to some of it. Yet I still saw aspects of my own boyhood in his, like when your parents urge you to finish chores or when you reach that age when adults complain you’re mumbling too much or when, without an active smile, your face looks gloomy and bored by default. Why does that happen anyway? I could also relate to his uncertainty regarding college and the future, since I’ve still got some now and I doubt that’s something anyone fully outgrows. I was concerned at times that Mason seemed too much like a blank slate, a shallow placeholder while life happened around him, from nasty stepdads to unwelcome moves. Yet a personality of his own does emerge as he gets older, including an interest in photography and a growing distrust of “the system.” Despite his unwise moments in high school, there’s a sense of definite maturing, even down to a small later scene where he opts for water rather than beer, and that applies also to his wayward father, who suggests that the responsibility so many lack is simply something you grow into, if only others can be patient enough. Many of the adults in Mason’s life offer sympathetic wisdom and counsel, which he often seems to shrug off as judgmental nagging, but they’re words I feel he’d look back on with better understanding in the future. I’ve yet to see Birdman, but I find it hard to believe that it was a more deserving Best Picture than Boyhood, which manages to balance its ambitious scope with rare personal insight. It’s quite long yet best seen in one sitting (maybe two), so it’s not a film I’d watch often, but I do think it deserves every bit of its critical praise. Full of simple conversations both awkward and profound, it offers a poignant and down-to-earth picture of growing up, as well as the price paid by parents who are no more sure of their path in life than the children they endeavor to raise; Arquette’s final scene is particularly moving in that regard and likely won her her Best Supporting Actress Oscar. I’m torn on how to rank Boyhood, but it’s a monument of a film that proves how a “gimmick” can be art when done right. Don’t forget to vote for your favorite Steven Spielberg movie in Round 3 of Opinion Battles at Movie Reviews 101! This was a hard round to choose, but I sided with Indiana Jones and the Last Crusade, that rare perfect threequel. Any of the other picks are great choices, though, and we’ll see how Ready Player One compares very soon. Ready Player One is hitting the cinema this month and is directed by one of the great directors of all time, Steven Spielberg, this month we are going to pick our favourite films from this man’s illustrate career. This is the first movie I remember seeing at the cinema, the effects leave you jaw dropping and still 25 years later it is still flawless. 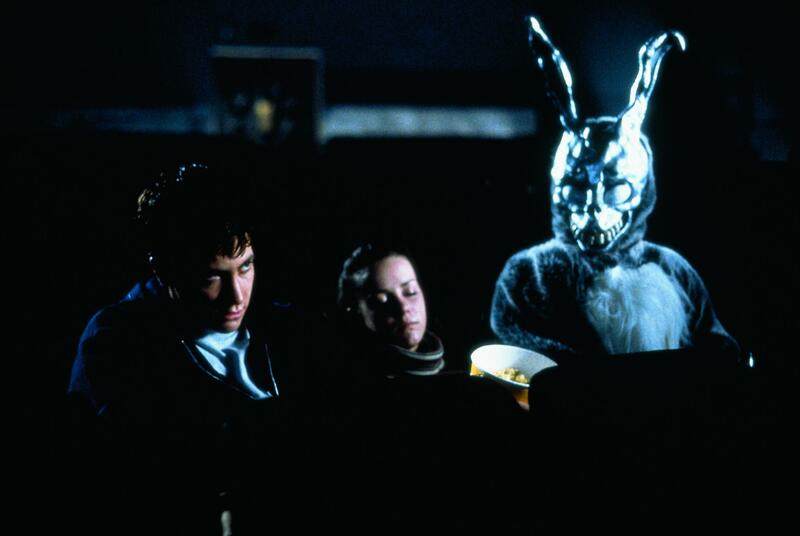 You can watch this movie over and over and still enjoy it. The T-Rex is truly terrifying for the audience especially when I was only about 6 when I saw it. For who’s more right than I? And choose who’s next to die. Who hands out just rewards. The world will bend by my design. That pens kill more than swords! I’ve been nervous about checking out Netflix’s live-action Death Note movie, especially based on the reviews I’d read. 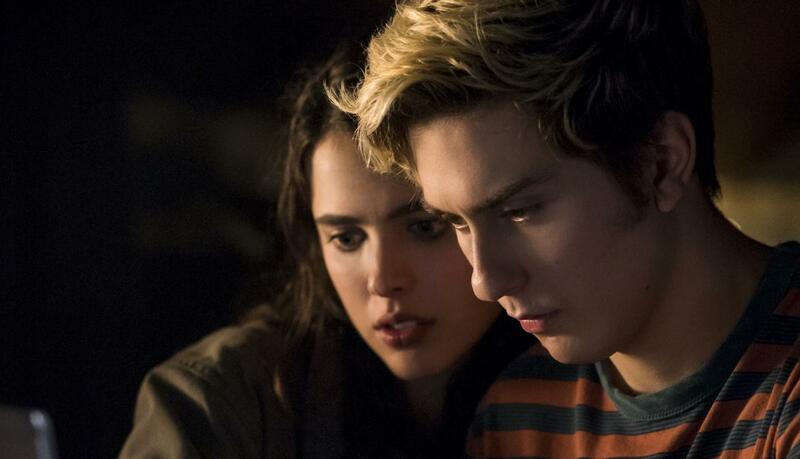 Movie adaptations of anime have about the same track record as those based on video games, yet I really hoped that Netflix’s Death Note movie would be the one to break the mold. (I know it was originally a manga, but I mainly know the anime.) Its story has all the ingredients of a great psychological thriller, a battle of wills between a megalomaniacal teen with a killer notebook and a genius detective intent on bringing him to justice. I was never that invested in Ghost in the Shell or Dragonball and thus didn’t much care when their American versions flopped, but I am a definite fan of the Death Note anime. That’s why the recent American adaptation was such a disappointment, even as I saw traces of the good movie it almost was. I suppose I’ll address the casting controversy first, allegations of whitewashing that I honestly don’t get. An American version has every right to be set in America, and moving the story from Japan to Seattle makes casting white actors perfectly reasonable. Japan does the same thing, even when it goes against the source material; just look at the all-Japanese casts of Attack on Titan or Fullmetal Alchemist, both of which are supposed to have European settings and characters, for the most part. Casting good actors should take precedence, which is why I also don’t mind Keith Stanfield as a black version of L, since he at least acts closer to the original character than the other actors. As that last statement implies, Death Note misses the mark most, not as a film in general, but as an adaptation. It may seem like a strange comparison, but it’s a lot like last year’s live-action Beauty and the Beast; they both could be reasonably fine movies if they weren’t entirely overshadowed by exceptionally better animated originals. The basics are there. Formerly named Light Yagami, Light Turner (Nat Wolff) is a gifted but resentful high school student who finds the mysterious Death Note, which claims to kill anyone whose name is written in it, usually by an unexplained heart attack unless a different method is specified. Goaded by a demonic death god named Ryuk (Willem Dafoe) and believing he can right all the wrongs of the world and become godlike, Light sets out to rid the world of criminals as the killer called Kira but runs into conflict with the eccentric detective known only as L.
Those are the basics, and the film follows them and asks similar moral questions of how one might use power over life and death. Yet there’s so much changed as well, from minor details to entire character arcs, and the changes are generally for the worse. Light and L start off close to their animated counterparts but end up with vastly different goals and mindsets. As I said Stanfield is appropriately weird and intense as L, though he’s shaken (by events that didn’t happen in the anime) to act with uncharacteristic rage at one point. 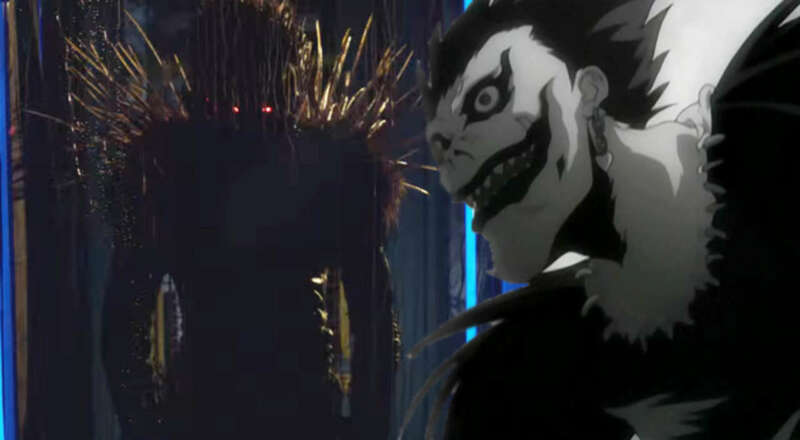 Likewise, Wolff has a good sense of normalcy about him, making him unlikely to be suspected as Kira, but he also overacts on occasion, like the epic meltdown he has upon meeting Ryuk for the first time. He comes off as intelligent and crafty but hardly the self-assured genius from the anime; that Light went to painstaking lengths to avoid detection by anyone, while this Light brings the Death Note to school and uses it to show off to a girl named Mia (Margaret Qualley). This Mia (formerly Misa in the source material) is the biggest change of all; instead of being an airheaded Kira groupie with a Death Note of her own, she becomes a driving force for Light’s crimes and even tries to outsmart him, which is actually a more interesting direction for her character. The best direct translation to live-action is oddly enough the CGI one; Dafoe is perfectly cast as the sinister Ryuk, employing his Green Goblin voice with relish. In addition to all the character changes, the plot spins along trying to carve its own path while muddling its story. The Death Note in the anime did have a lot of rules as to its various uses, but the film loads on more to confusing effect and even seems to break a few. For example, people whose names are written in the note can be controlled for two days prior to their death, and Light tries to use this detail by writing someone with a single-word name, which I always assumed was fake. If he can do that, why not do it with L? The ending is actually pretty thrilling and finally reveals the depths of Light’s Sherlockian foresight and cleverness, but it also exaggerates the note’s abilities to the point of seemingly predicting the future rather than just controlling people. As one last complaint, I also was disappointed that it had to be R-rated, likely thanks to director Adam Winguard’s reputation for horror. I enjoyed the anime because it gradually developed as a dark and compelling narrative, and did so without a single F-word or graphic decapitation. It was proof that you can explore dark material without going to extremes for extreme’s sake, something I wish Hollywood and Netflix would have learned. Oh, and what was with the soundtrack? Some of the songs were complementary, but others clashed really strangely, like playing Air Supply over the ending scenes. By the end, it seems open for a sequel, yet certain characters know things they shouldn’t and there’s no easy way to see how the story could continue in any direction that remotely resembles the original. There are traces of brilliance in the climax and in the confrontations between Light and L, yet I would much sooner recommend the anime over this misguided adaptation. Actually, I wish Netflix would take a real chance and make a movie out of Death Note: The Musical, courtesy of composer Frank Wildhorn, who is apparently popular enough in Japan that he was asked to musicalize Death Note. It’s actually quite good, and you can find it on YouTube, like here. I’ll just have to wait a little longer for that really good live-action anime adaptation (Your Name maybe) because sadly this isn’t it. For those familiar with Death Note, here’s a little parody video combining it with The Fairly OddParents that cracked me up, since they changed Light’s last name to Turner. I don’t know why it’s taken me so long to replace that generic picture at the top of my blog, but today is the day! I’ve been learning Photoshop as part of my final Web Design class, and I thought this would be a perfect way to not only practice but also to spruce up my website. Hopefully, it looks a little less plain and more movie-centric now! Oh, and my new banner is also something of a challenge. Whoever’s the first to guess which movie each picture is from, I’ll review any film of their choice (though I retain veto power when it comes to horror). Hint: they’re all on my Top 365 List of favorite films. I haven’t made it easy, though, so best of luck! Yet generations prior had no guarantee of sense. And sometimes leaving faults to fester at their kids’ expense. They’re no more perfect than we are who live in present tense. To learn from them is wiser still than harboring offense. When I heard Black Panther was scheduled just two months before Avengers: Infinity War, I had to recognize the wisdom of it. After all, Black Panther would probably be one of the smaller stand-alone entries in the MCU, right? And placing it so close before a hype machine like Infinity War seemed like a good way to ensure its success. Little did I know what a juggernaut Black Panther would become, breaking records and earning rave reviews left and right, which only compounds the wisdom of Marvel’s schedule. But I suppose I shouldn’t be surprised; it is after all the first stand-alone feature for a black superhero, and a lot of effort clearly went into it to make it worth the wait. Another clever point is how three separate characters were all previously introduced, Andy Serkis’s vibranium smuggler Ulysses Klaue in Avengers: Age of Ultron, Martin Freeman’s CIA agent Everett Ross in Captain America: Civil War, and of course Chadwick Boseman’s Prince T’Challa/Black Panther, also from Civil War. Having grown beyond his revenge arc in that movie, T’Challa returns home to deal with the fallout from his father’s death, namely fighting any challengers to his claim on the throne of Wakanda, a fictional country that hides an advanced African utopia behind the guise of a third world country. Yet an unexpected ghost from his family’s past returns in the form of Michael B. Jordan’s Erik Stevens, who gets the evocative villain name “Killmonger” and doesn’t get as much screen time as he deserves. Many have noted the film’s biggest strength is its characters, and not just Boseman’s regal hero or Jordan’s complex villain. 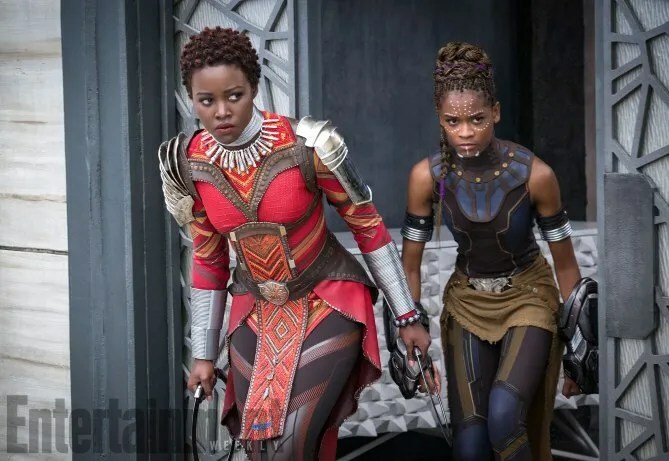 Compared with other Marvel outings, there’s a strong supporting cast here, especially the three women in T’Challa’s life: his not-quite-ex Nakia (Lupita N’yongo), the general of Wakanda’s all-female special forces unit Okoye (Danai Gurira), and his little sister Shuri (Letitia Wright). There’s a reason Wright seems to be everyone’s favorite; as T’Challa’s over-eager sister, she’s both a hilarious tease and a Q-style genius, providing him with gadgets and specializing in the many uses of vibranium technology, advances that would make Tony Stark jealous. There’s also Angela Bassett as T’Challa’s queen mother, and Daniel Kaluuya of Get Out is clearly having a good year, between his Best Actor nomination and a chance to ride a war rhino. And then there’s the two token white people in Freeman and Serkis, both refugees from Middle Earth who must have enjoyed working together again. I’ve been rewatching Marvel’s movies leading up to Infinity War and noticed how much more serious earlier films like Iron Man were, compared with the flippant comedy of 2017’s offerings. Black Panther is a return to that more straight-faced comic book style (albeit still with some laughs) and actually has pretty deep conflicting themes at its heart. I agree with one review I heard comparing T’Challa and Killmonger to Martin Luther King, Jr., and Malcolm X, both intending to help their people yet disagreeing fundamentally on how to do it. Killmonger is all about force and revenge, while T’Challa prefers the isolationism that has preserved Wakanda from the history of colonialism. T’Challa’s clearly the good guy, but it’s interesting how his position still changes in the light of past mistakes. To complement the thematic complexity, writer/director Ryan Coogler also displays his skill behind the camera, including a couple of those extended action tracking shots that elevated Creed as well. I’ve read plenty of reviews saying things like “Is it as good as everyone says? Heck, yes and better!” I wanted to be the same way, but, as has been common with some of Marvel’s recent installments, I must be a bit more restrained in my praise. I liked it and have liked it more upon reflection, but it’s not among my favorite MCU movies. I suppose the main reason is all the African mysticism; while some of it is significant to the story and adds to the culture building, I’ve never particularly liked that kind of strange tradition and ritual, whether it’s African, Far Eastern, or something alien from Star Trek. Sorry if that sounds not multicultural enough, but it just doesn’t connect with me. Parts of it also seem to undercut how advanced Wakanda otherwise is, like deciding its leadership with a fight to the death. Like I said before, I shouldn’t be surprised at Black Panther’s success. I remember an episode of the cartoon Static Shock (itself a great superhero show with a black protagonist), where the main character was awestruck at meeting a professional hero from Africa, even though he himself had superpowers. There’s a lot to be said for being able to look up to a hero who looks like you. Turning out in droves, the black community deserves to see themselves in this noble and heroic character. Marvel, Coogler, Boseman, and everyone involved have much to be proud of, and even if certain elements will appeal more to others than to me, I’m glad Black Panther has found such success on the big screen. This is hardly an original idea for a list since I already took part in an Opinion Battle on this very subject, but I thought I’d do a quick Top Twelve to highlight the upcoming movies that have me most excited, or maybe afraid in case they flop. This year has plenty of movies worth some hype, from continued comic book installments to original potential blockbusters from big directors. Two that would have made this list have already come out, namely Maze Runner: The Death Cure and Black Panther, which says something when buzz-worthy films are coming out in the usually dry period of January/February. That’s why I’ve waited this long for this list, but there’s also the added advantage of most of these now having a trailer released to put alongside each one. So without further ado, here are the Top Twelve movies I’m most looking forward to in 2018. As if we haven’t had enough versions of Spider-Man… Well, maybe we haven’t, especially when there’s an entire multiverse of alternate Spider-Men that the MCU is unlikely to tackle. Leave it to the animated minds of Phil Lord and Chris Miller to give us what promises to be a unique comic book experience. 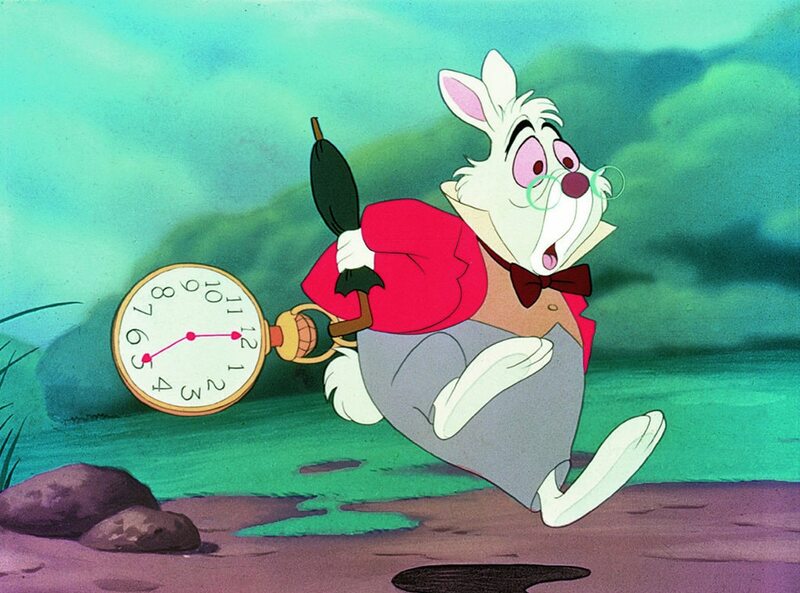 Wreck-It Ralph was already the Who Framed Roger Rabbit? of video games, combining new faces and familiar characters into a fun animated hodgepodge. The sequel seems to be strengthening that comparison, sending Ralph and Vanellope into the Internet to interact with Disney princesses and reportedly even Marvel and Star Wars characters. Based on the teaser, I’m hoping for good things, though I’m not a fan of the dark joke at the end. While some view it as second-rate, Ant-Man was one of my favorite recent entries in the MCU, so I hope the sequel will be even better, elevated by Evangeline Lilly getting her own shrinking suit as the Wasp, who incidentally was the comic character who came up with the name Avengers. As far as continuity, I’m not sure how this will fit in between the two halves of Infinity War, but we’ll find out soon enough. Look for this, come Oscar night next year. 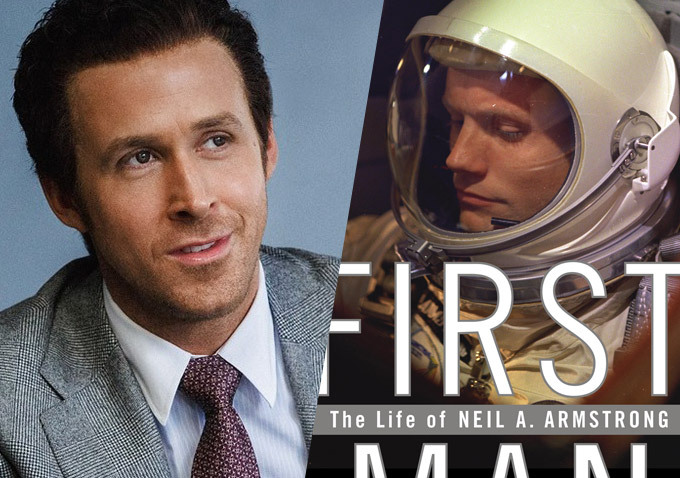 A biopic of Neil Armstrong directed by Damien Chazelle? I am so there. Thanks to my grandfather’s and mother’s involvement, any movie about the space program is relevant to my family, and this could be up there with the best, though Ryan Gosling wouldn’t have been my first choice for Armstrong. A passion project of James Cameron, who is so busy on Avatar sequels that he’s handed the reins to director Robert Rodriguez, Alita: Battle Angel holds a very unique status. It’s based on a manga with a loyal but limited fanbase and no popular anime adaptation, unlike Ghost in the Shell or Death Note. It’s basically a super-niche project getting big-budget backing, which doesn’t happen very often. I have seen the single anime adaptation, which is old, obscure, and pretty violent, yet I see plenty of potential with the right treatment. And before anyone complains about her eyes, they’re apparently meant to be that unusually big. Huh, Christoph Waltz in another movie with big eyes…. Continuing his trend of a new film every three years, Mamoru Hosoda is directing what I bet will be the big anime film of 2018. Seeming to combine elements from his previous movies The Girl Who Leapt through Time and Wolf Children (both favorites of mine), Mirai no Mirai is about a young boy who meets his future sister who has come back to the past. I can’t wait to see where this story goes. Imagine Mad Max: Fury Road with giant cities on wheels. Sounds pretty cool, doesn’t it? With Peter Jackson producing, Mortal Engines should be one of the big blockbusters of the year’s end. Maybe I’ll have time to read the book it’s based on. This is one I’m not so much excited about as begging it’s not terrible. A sequel to Mary Poppins sounds like blasphemy, but Disney is doing it anyway. Emily Blunt seems like a pretty good choice for the iconic nanny, so I’ll try to keep an open mind. I’ll be honest: the first trailer for The Incredibles 2 doesn’t thrill me. The Incredibles is the Pixar film that most deserved a sequel, but I wasn’t expecting a super-powered version of Mr. Mom. 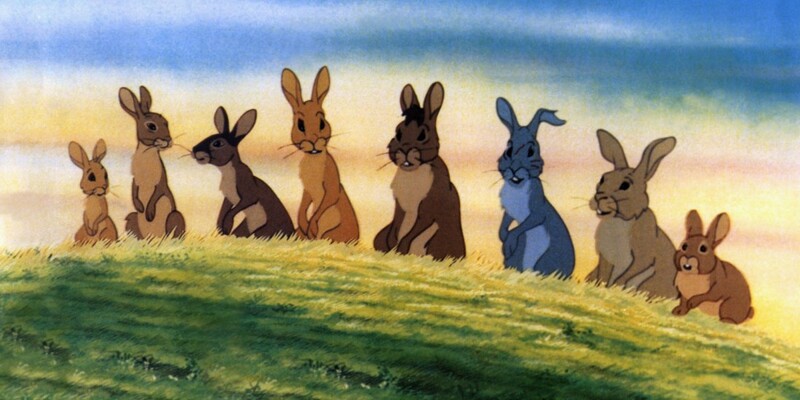 Still, knowing Pixar’s track record, we have every reason to be optimistic. Despite all the complaints about the prequels and The Last Jedi, Star Wars has yet to do wrong by me. A prequel about Han Solo’s past seems like a great idea, and while Alden Ehrenreich doesn’t quite look like Harrison Ford, I’ll again keep an open mind. This looks to be the least Star Wars-y movie yet, so there might be backlash once again but I still can’t wait. My #1 should be no surprise to anyone who remembers last month’s Opinion Battle. This and Infinity War are practically tied, but Ready Player One has originality behind it and is based on a great book by Ernest Cline. Another Who Framed Roger Rabbit? of mixing franchises, this will be a nostalgia trip like no other, even directed by Steven Spielberg. It may go overboard on the CGI, but I’m praying that Ready Player One is the geeky thrill ride I want it to be. And at least I now have to wait less than a month for it! And here are a collection of other upcoming movies with potential, starting with the next ones I’m most interested in. Jurassic World: Fallen Kingdom – It looks like a good sequel, and who gets tired of dinosaurs? A Quiet Place – Silence is golden and scary. Reminds me of Hidden, very much my kind of horror, if done right. 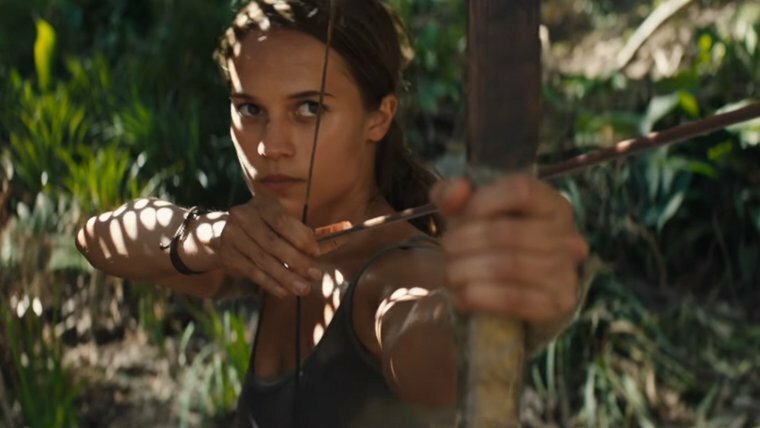 Tomb Raider – I think I already like Alicia Vikander’s version more than Angelina Jolie’s. A Star Is Born – The fourth remake of this story, this time with Lady Gaga and Bradley Cooper. Creed 2 – I’m still not sure if this is actually happening, but I hope it can come close to matching the first one. Dr. Seuss’ The Grinch – I love Dr. Seuss, and Benedict Cumberbatch seems like inspired casting. Mamma Mia: Here We Go Again! – More ABBA, so I’ll give it a chance. Skyscraper – A Die Hard ripoff with the Rock. Why not? The Women of Marwen – Another Robert Zemeckis film that was previously an acclaimed documentary about a delusional artist who creates his own fantasy village. Might be Oscar material. Venom – Please don’t make it R-rated, people, especially if it connects to the current Spider-Man! The Nutcracker and the Four Realms – If Disney wants to make opulent live-action fantasies, this is the better way to go, starting from scratch rather than remaking their own classics. A Wrinkle in Time – I loved the book, but there’s something off about the costumes and casting. I’ll still hope for the best. 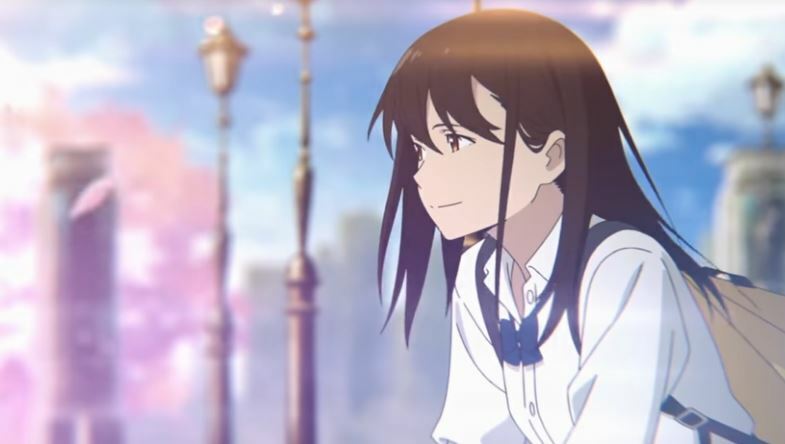 I Want to Eat Your Pancreas – Really bizarre title, but it’s actually a sensitive YA anime dealing with cancer. X-Men: Dark Phoenix – I can only hope they do this story better than The Last Stand did. Aquaman – I still haven’t seen Justice League, so I don’t have much of an opinion about this one. 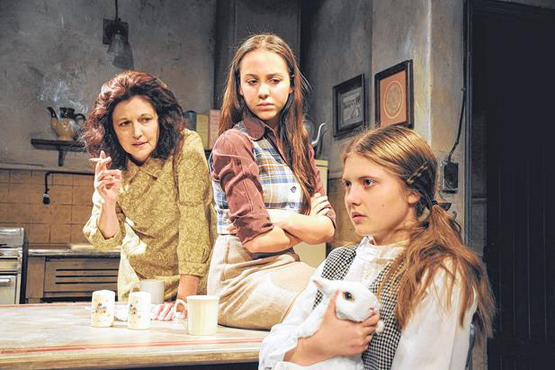 Teen Spirit – I hear it will be a musical, so I support it. 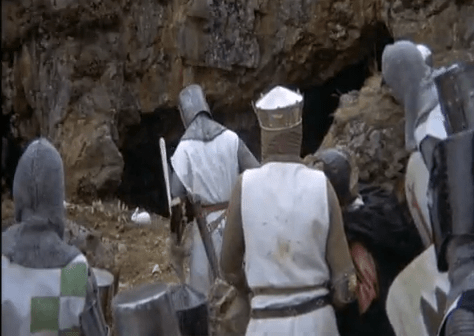 Outlaw King – Chris Pine as Robert the Bruce—it may be the next Braveheart. 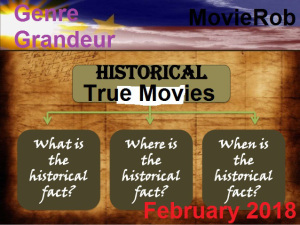 Here’s my review of Unstoppable for MovieRob’s February Genre Grandeur of Historical True Story Films. This runaway train thriller may be loosely based on fairly recent history, but it has enough basis in fact and realism to be an exhilarating ride. Thanks again to Vinnie of Vinnie H. for choosing this month’s genre. 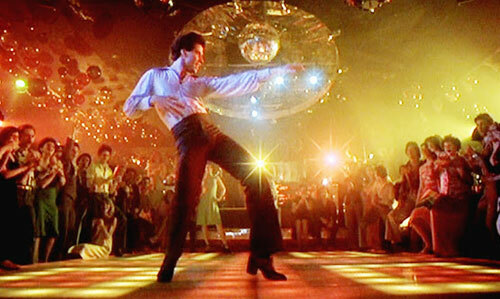 Next month’s Genre has been chosen by Jeanette of The Mundane Adventures of a Fangirl and it is 80’s Fantasy Films. Try to think out of the box! Great choice Jeanette! That simply would not play along. So I guess the film’s title is wrong.